Win was 3rd win and 13th podium for Kenneth Eriksson. 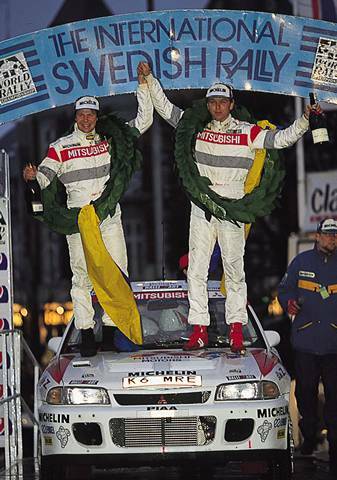 Second place was 2nd podium for Tommi Makinen. Third place was 1st podium for Thomas Radstrom. Win was 9th win and 1-2 win were 28th to 29th podiums for Mitsubishi. Third place was 104th podium for Toyota. Bitter-sweet win for Eriksson after nail-biting battle with Makinen over first two legs and subsequent row over team orders.